Trust the Best Hearing Aid Clinic in Abbotsford With Your Hearing. Pindrop’s hearing clinic in Abbotsford is here to serve all of your hearing needs. We have highly trained and experienced audiologists, hearing technicians, and office staff to make you feel at home. First, we just need to review your hearing health history. Any family history and personal history of ear infections or exposure to very loud noises and other more. The second process involves a general health examination of your ear drums. We will also check if there’s any obstructions or blockages. 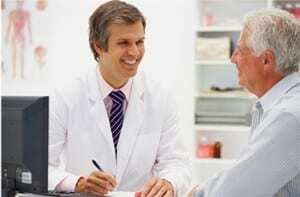 Once the initial examinations are done a complete hearing exam is performed. The results will collected and the audiologist will go over your full hearing health picture with you and based on your specific hearing situation, will make some recommendations. Pindrop fully understands that everyone’s hearing challenges are unique that is why we come up with the best solutions specific only for a particular patient. We are committed to provide the best hearing care using the latest technologies. We invite you to call Pindrop today at our Abbotsford hearing clinic location to learn more at 604-557-1350.